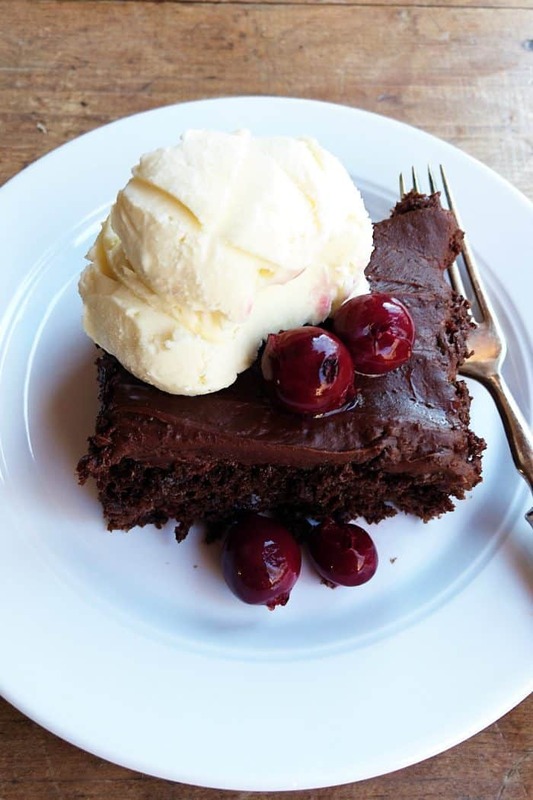 This EASY 4-Ingredient Chocolate Cherry Cake recipe is moist, tasty, and the perfect holiday dessert, served with Vanilla Ice Cream! Watch the video! Good Morning, Friends! 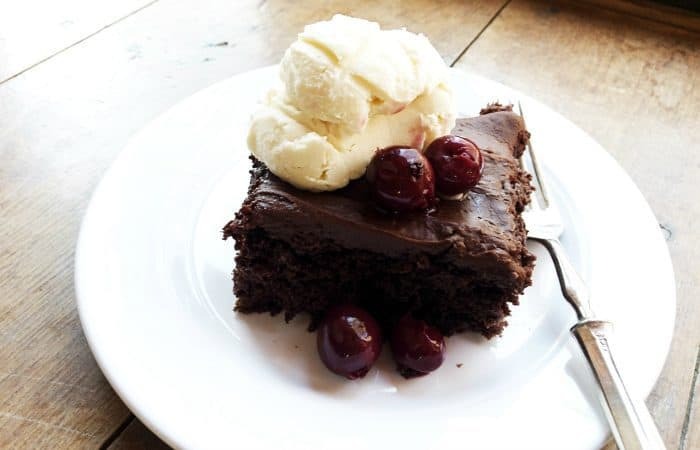 This 4-Ingredient Chocolate Cherry Cake recipe is a great after-Thanksgiving dessert to serve, if you’re tired of pumpkin and apples and pecans. Watch the video below! How do I make a chocolate cake moist? 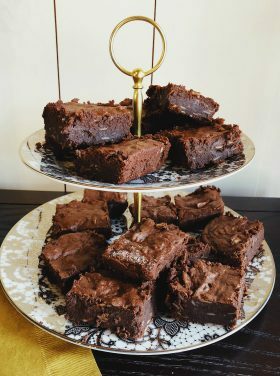 A super easy recipe that anyone can make, especially when you’re in a pinch with impromptu guests coming in 30 minutes, or you’ve forgotten you committed to bringing dessert to a party (do you ever do that? ), today I’m sharing 7 reasons why I love this cake! 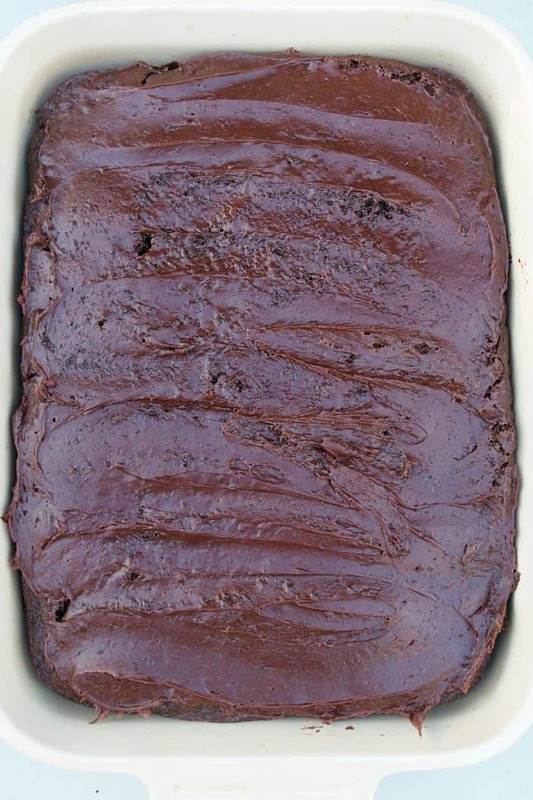 And, how to make a “moise” chocolate cake! 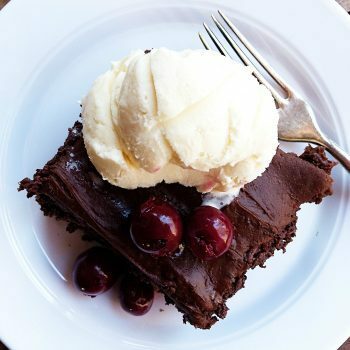 All you need on hand is a chocolate cake mix, a can of pie cherries, eggs, and the secret ingredient … almond extract. What makes the cake so moist is the can of pie cherries! 1. Anyone can make it. Even a small child! 2. You can always have the ingredients stocked in the pantry. 3. Everyone loves it. Everyone! 4. You won’t go home with leftovers (if you bring to a party). 5. 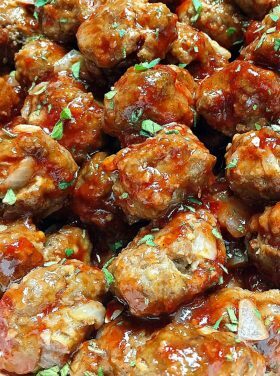 You won’t be tempted with leftovers (if the party is at your house). 6. Any kind of ice cream pairs well with this. We love vanilla! 7. 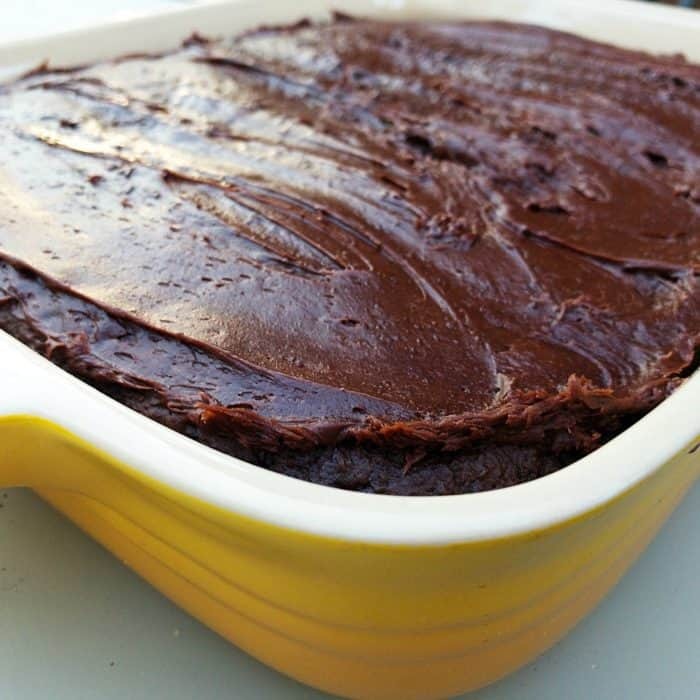 If you don’t want to make a frosting, serve it with ice cream OR … a warm fudge topping! It’s also great to serve for any special occasion? Like Game Day or Valentine’s Day or Christmas — or family night or a potluck? Wanna make the frosting? Mix together 1 cup powdered sugar, 5 T. butter, 1/3 cup milk, 1 cup semisweet chocolate chips over medium heat; add 1 tsp. vanilla and 1/4 cup cocoa and stir, cooking for 1-2 minutes. Spread over the warm cake immediately. Place all ingredients in a bowl and beat for 1-2 minutes. If you want chunkier cherries, mix by hand. Pour batter into 9×13 sprayed pan. Frost with your favorite frosting, whipped cream, or serve with your favorite ice cream! 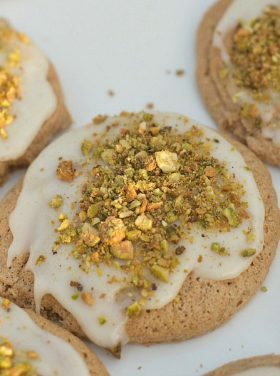 I am a huge fan of my Le Creuset pan and KitchenAid mixer (or hand-mixer) for these types of recipes! I’ve made this cake three times now, and it gets raves from everyone who tries a slice. 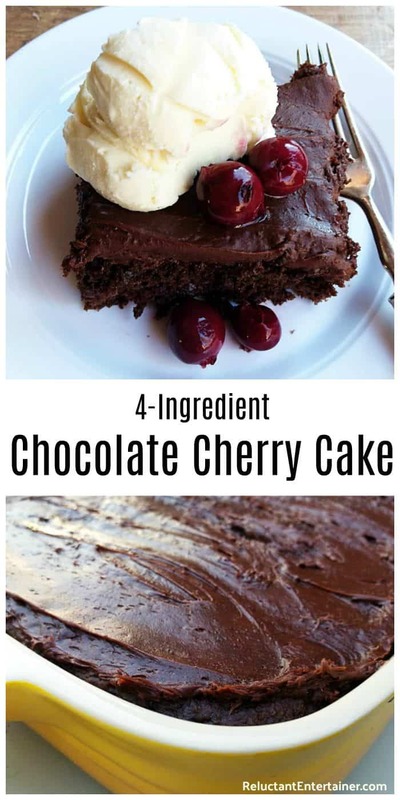 The cake is really moist, and the combination of chocolate and cherry is delicious. This is a definite keeper! Couldn’t make it without your recipe! Thanks Rachel, we love it, too!